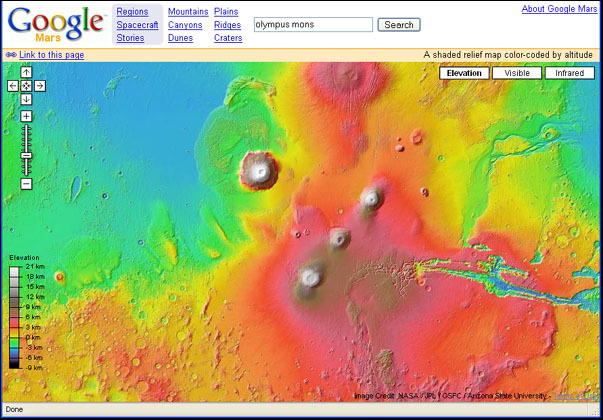 Screen shot (reduced in size) from Google Mars showing Olympus Mons and the Tharsis area of Mars. Just what you’ve always wanted, a color-coded, topographic map of the surface of Mars. Scroll across the surface, zoom in and out, and look at the surface of Mars in visible or infrared light. You can also search for surface features, spacecraft, and stories.